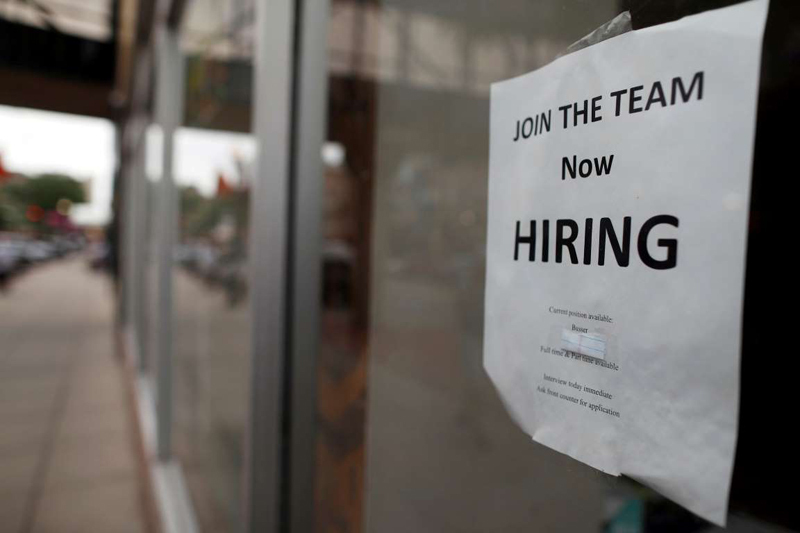 Small business hiring weakened further in March, a sign owners are more anxious about forecasts for a slower economy. NEW YORK — Small business hiring weakened further in March, a sign that owners are becoming more anxious about forecasts for a slower economy. That assessment Wednesday comes from payroll provider ADP, which said its business customers with up to 49 employees created only 6,000 jobs last month. That's down from a revised 19,000 in February and dramatically lower than 98,000 in January. Although many owners have said in surveys they're confident about their own companies, they've expressed concerns about the economy. Many economists predict slower economic growth this year, and measures of consumer confidence have generally fallen in recent months. Consumer spending is key to the strength of many small businesses, especially retailers, restaurants and service providers who cater to the consumer. The ADP report was released the same day as a Capital One survey that showed small business owners are losing some of their optimism and are less willing to hire. Fifty-nine percent of the 500 owners questioned said business conditions are good or excellent, but that's down 8 percentage points from a survey six months earlier. And 29% said they plan to hire in the next six months, down from 33%. The drop in small business hiring recorded by ADP was in line with slower job creation at companies of all sizes. ADP said businesses added 129,000 jobs in March, down from February's 197,000. But small businesses have been more cautious about hiring since the Great Recession began more than 11 years ago; in the Capital One survey, 29% of the owners who don't plan to hire said they economy makes them too nervous to take on the added costs of a larger payroll. Many owners have also said over the past few years that they can't find skilled workers for many of their job openings. However, the sharp drop in hiring the past two months points to concerns about the economy and how it will affect small business revenue and profits.